Route 72 sidepath south of Newark. 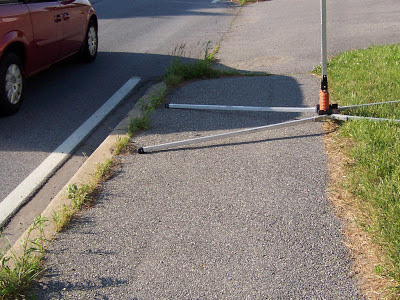 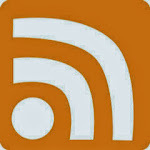 Legs from a portable sign could easily trip someone or cause a bicyclist to crash. At least the barrels leave some space on the path to circumvent, but the signs are clearly placed in the middle or across the path. 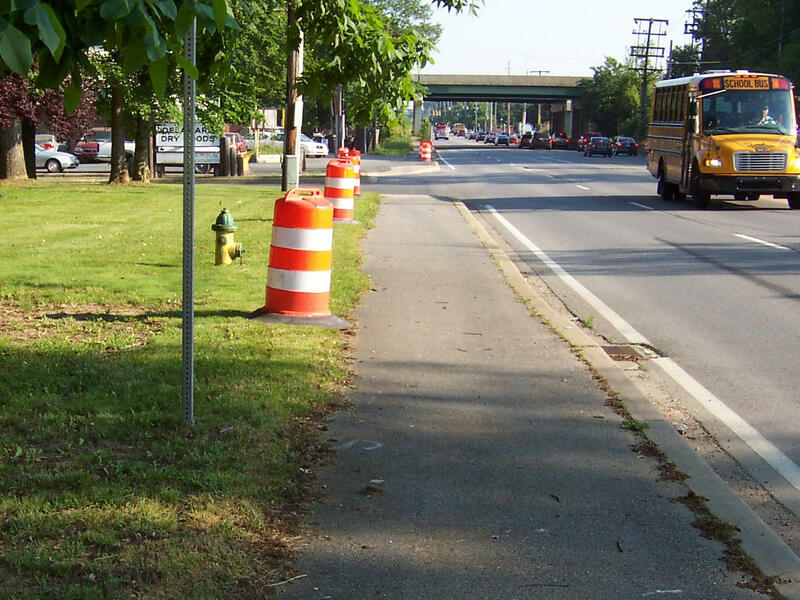 South of I95, barrels are correctly placed outside the pathway, unlike north of I95 in the picture above. 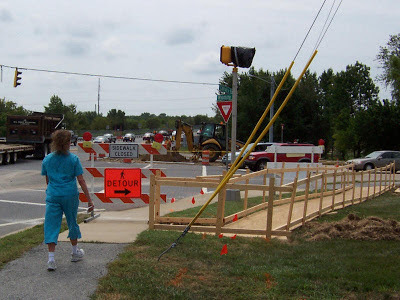 On the flip side, DelDOT does an exceptional job here, a couple of years ago, at the corner of Rt.72 and Wyoming Ave in Newark. 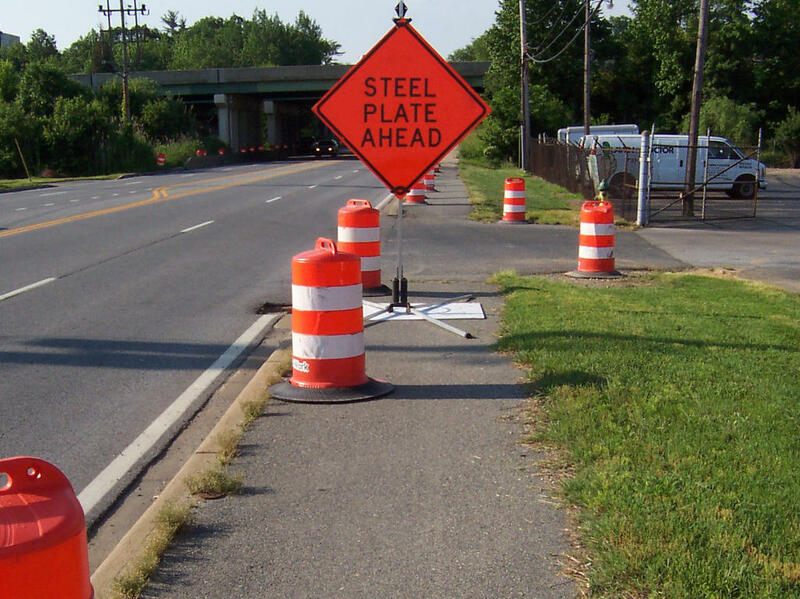 We urge DelDOT, its contractors and others working in the public right of way to please consider non-motorized users when placing construction signs and equipment. At the very least, a "Pathway Closed" sign and detour is required according to ADA standards.